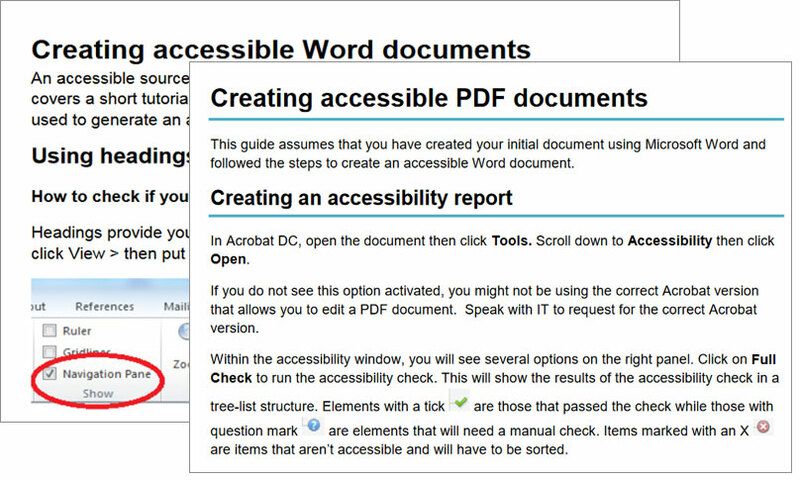 This Guide to creating accessible Microsoft Word documents, written by Khristin Fabian at Perth College UHI, covers creating an accessible Microsoft Word document. It includes step by step instructions on running the accessibility check function within Microsoft Word. Khristin has also written a useful Guide to creating accessible PDFs based on an initial document created using Microsoft Word.